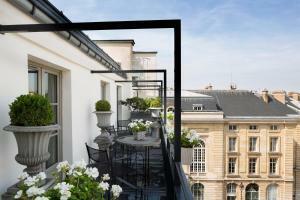 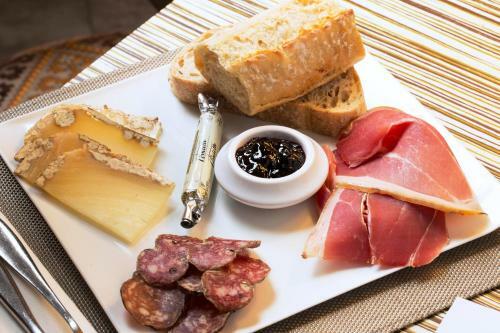 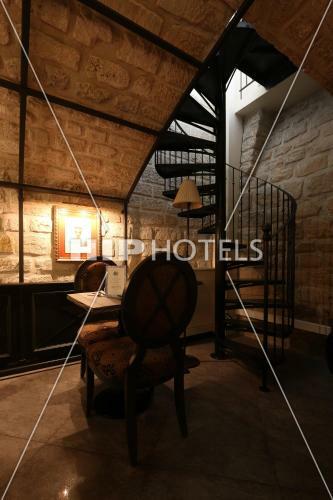 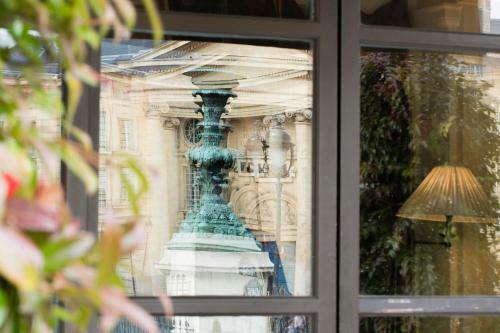 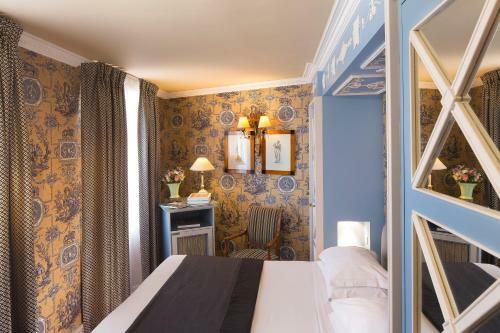 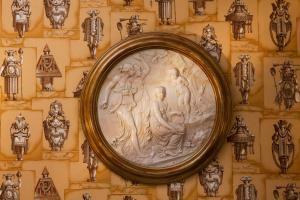 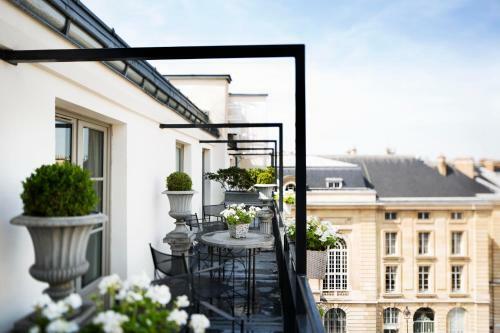 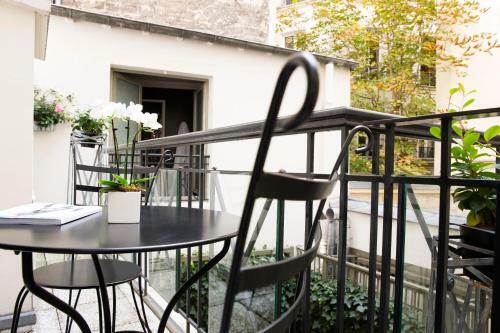 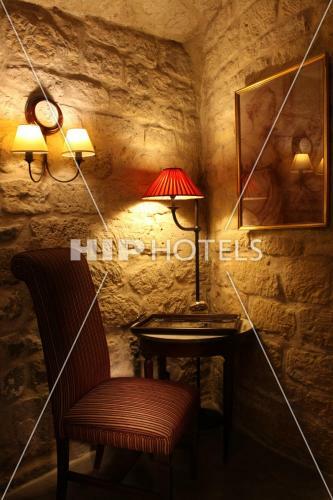 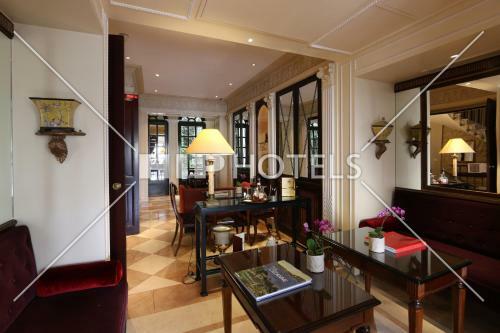 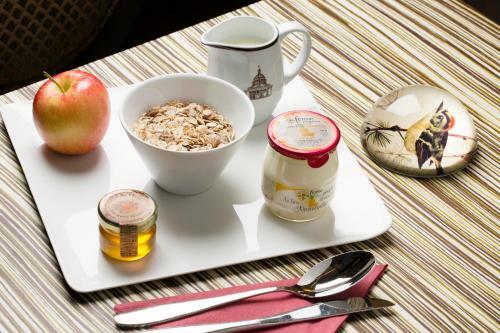 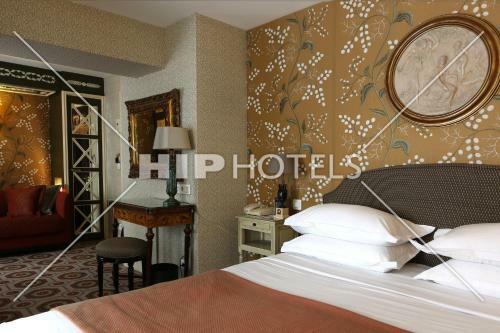 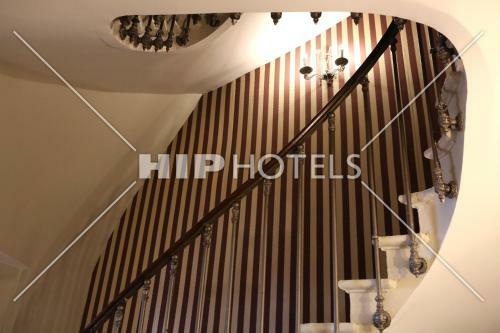 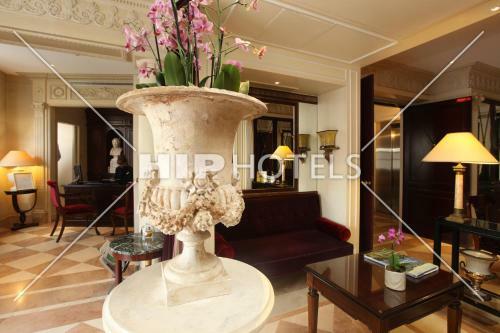 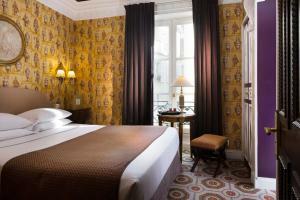 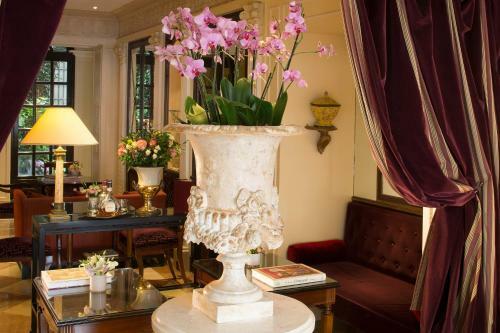 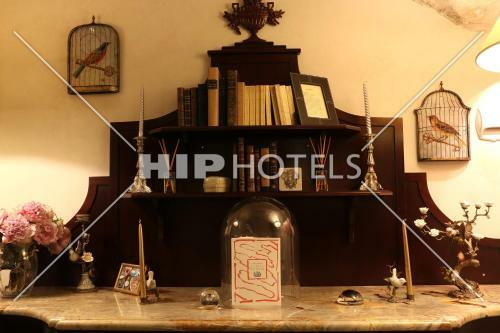 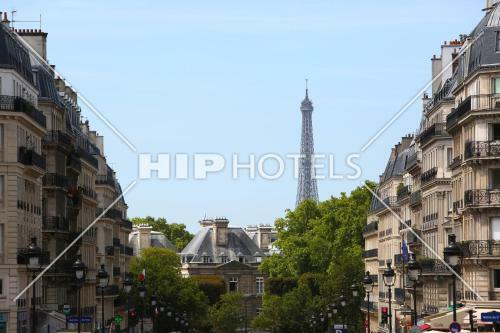 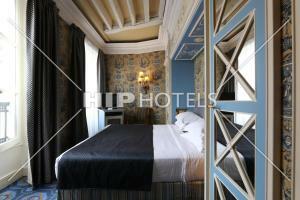 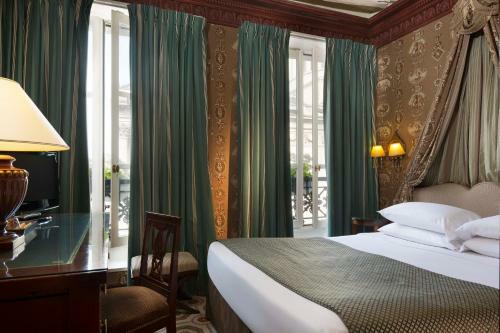 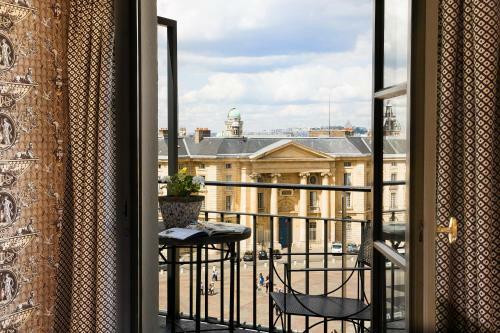 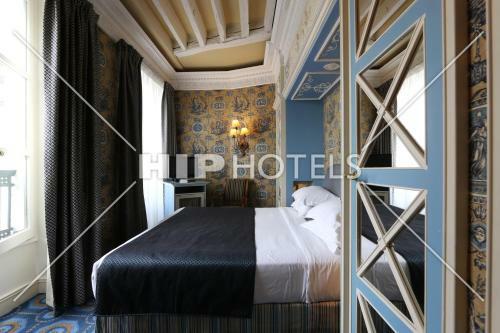 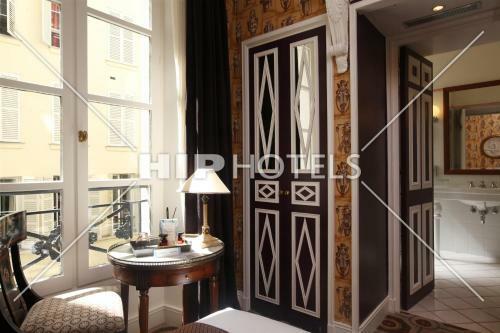 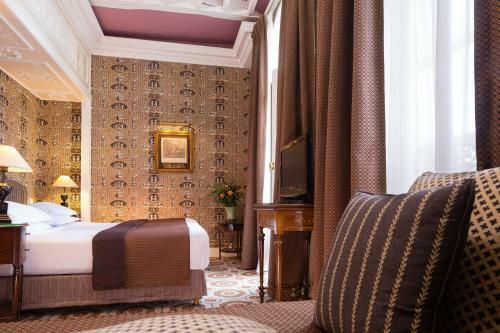 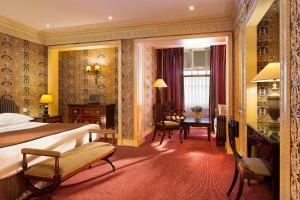 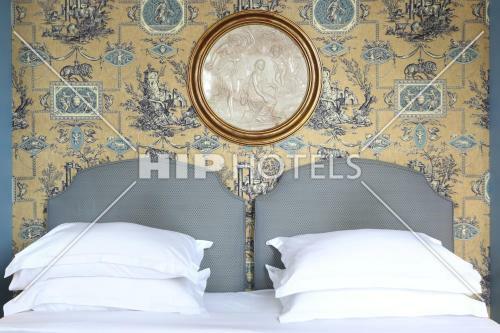 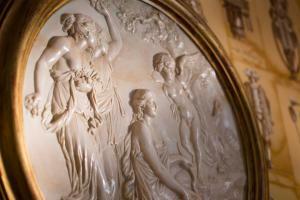 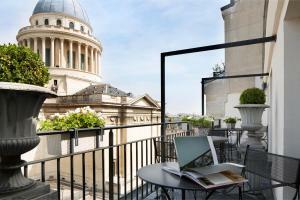 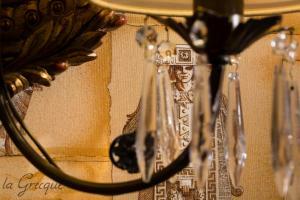 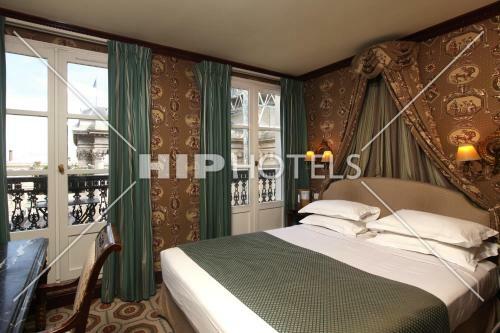 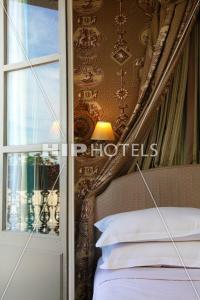 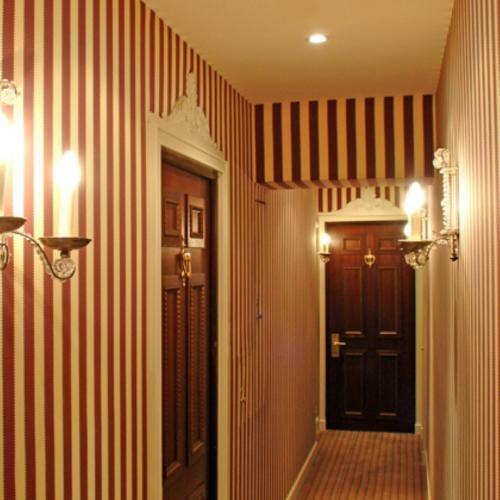 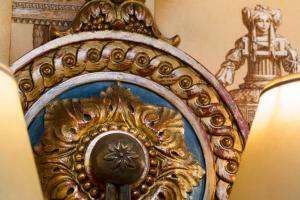 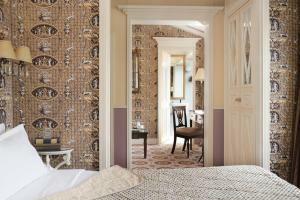 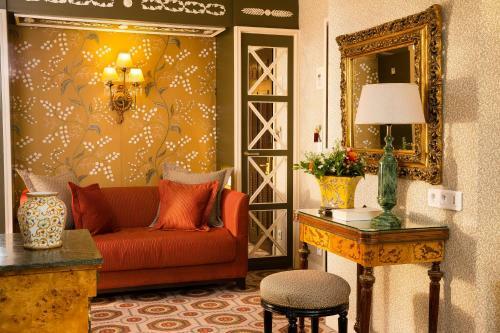 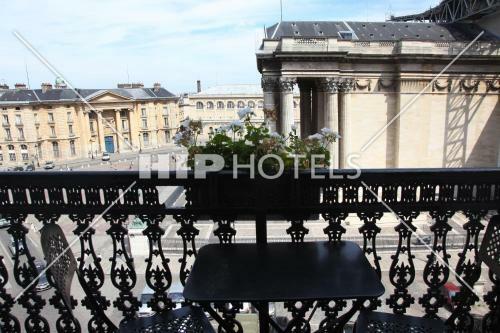 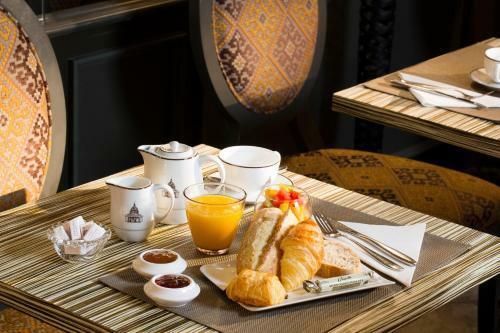 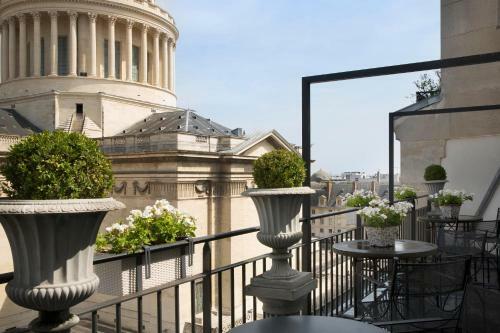 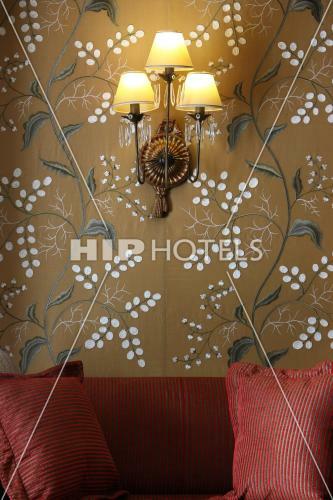 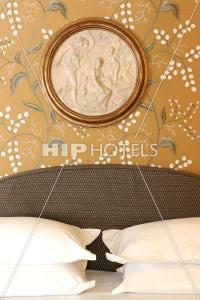 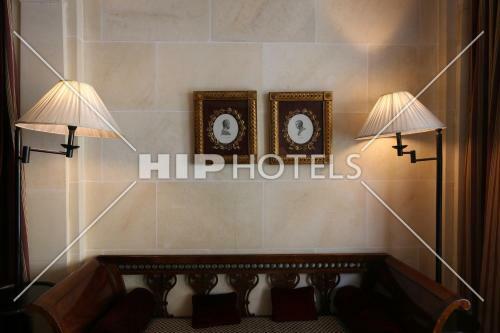 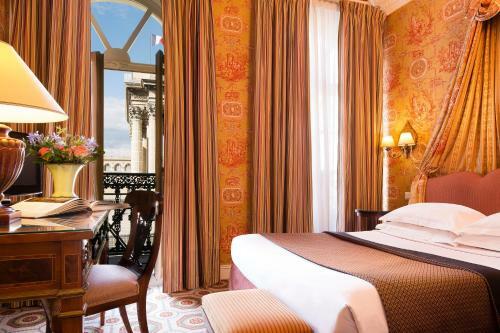 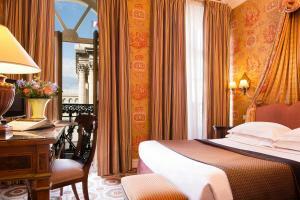 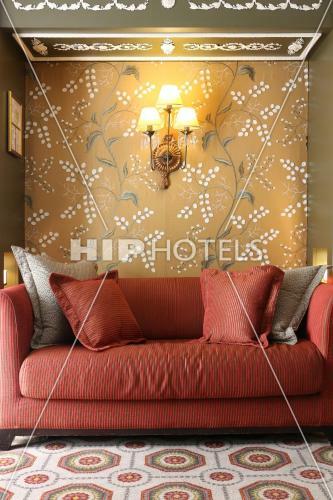 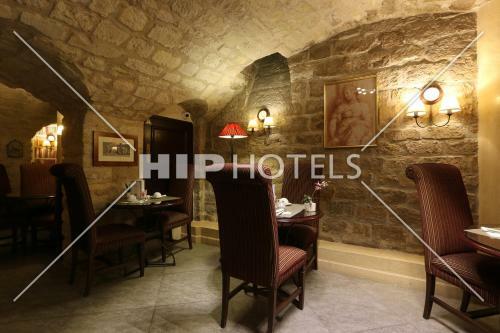 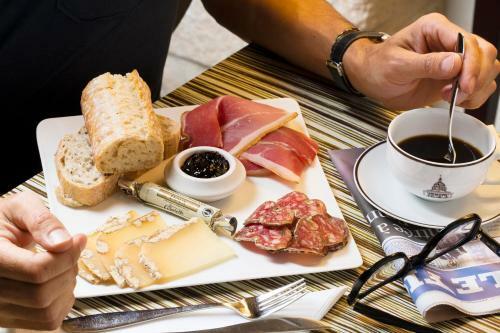 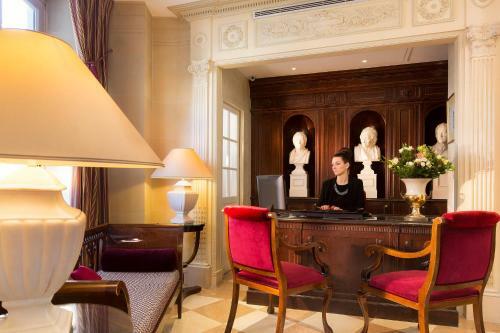 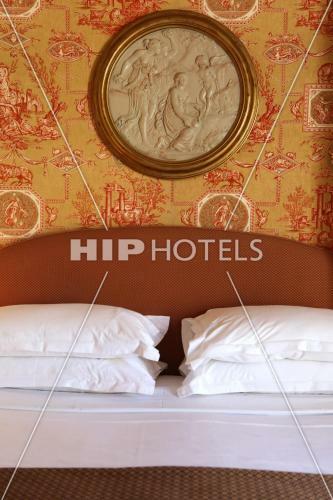 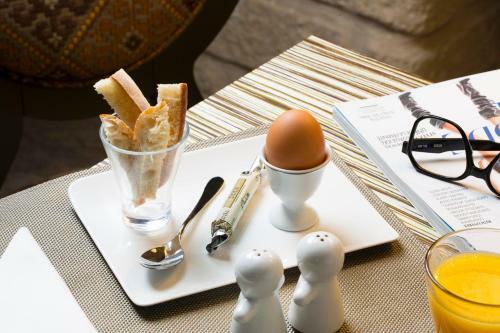 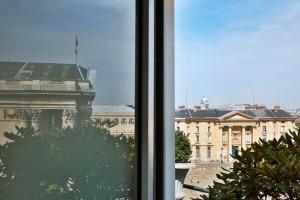 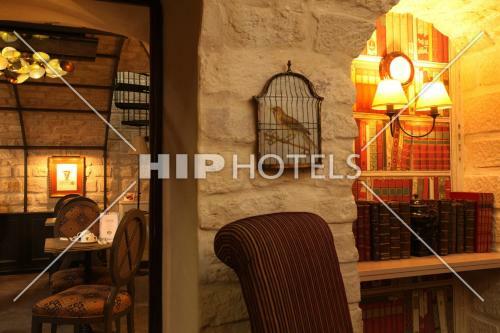 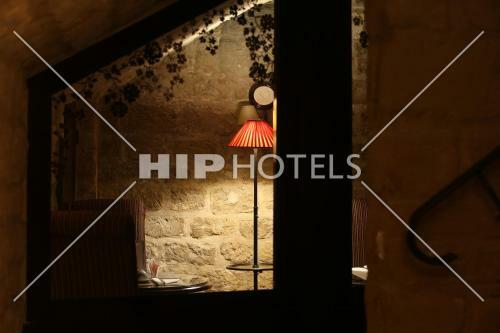 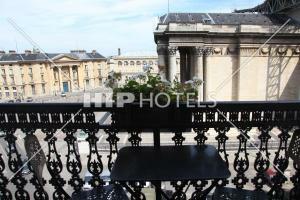 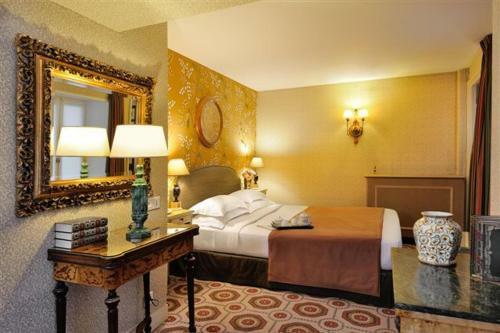 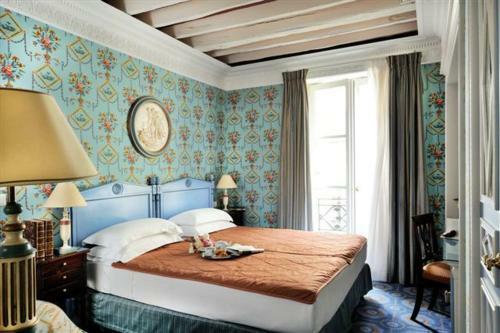 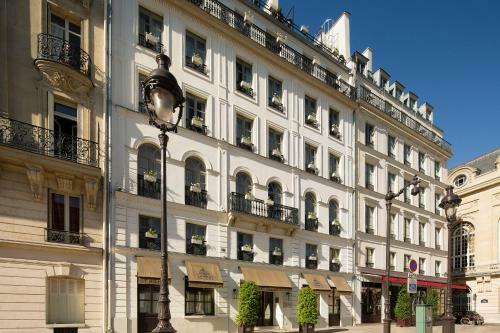 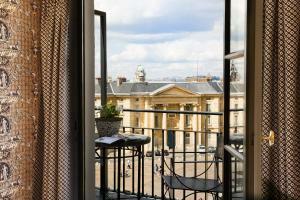 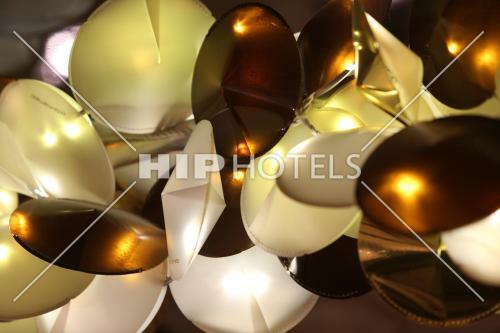 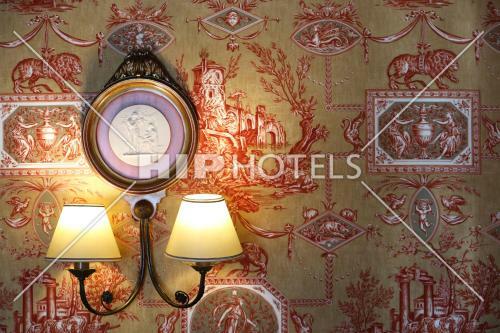 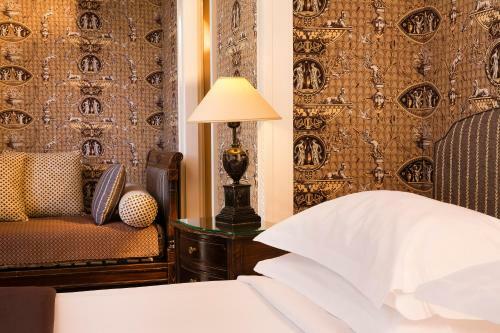 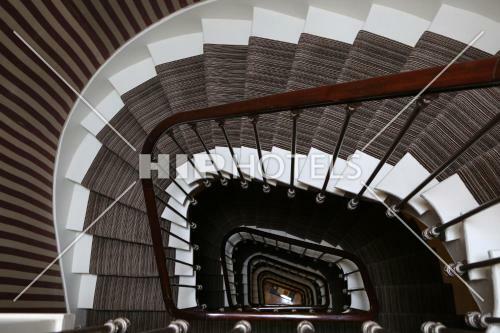 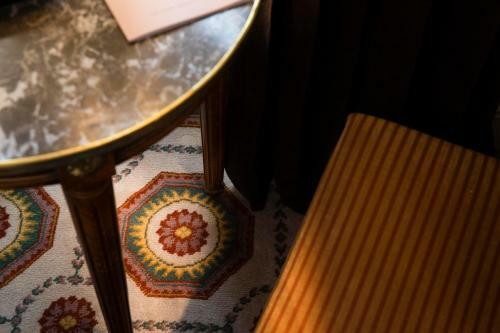 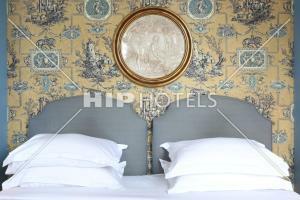 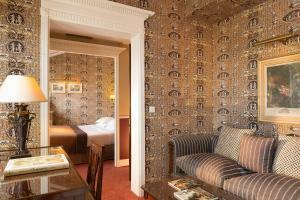 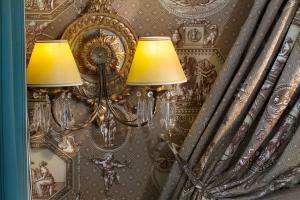 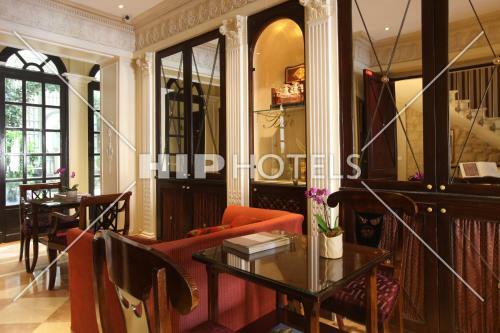 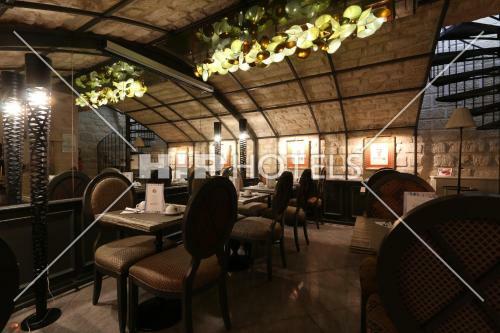 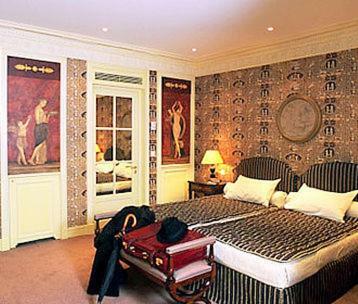 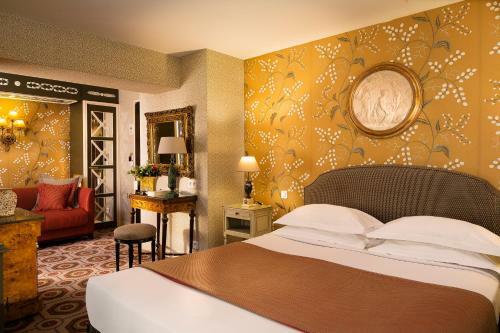 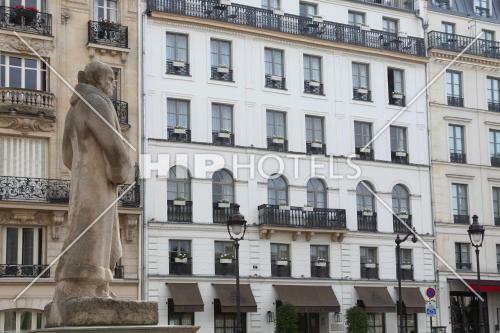 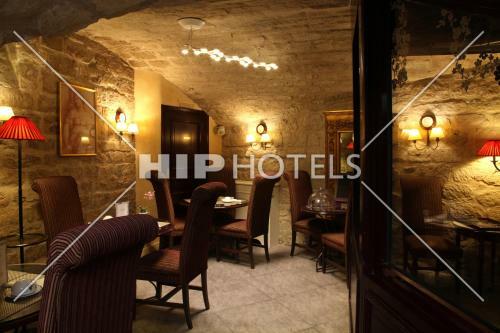 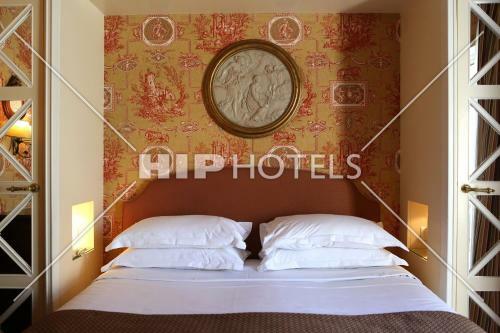 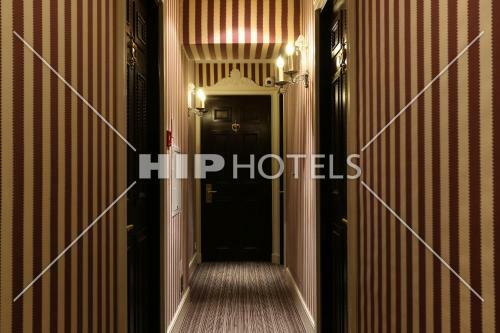 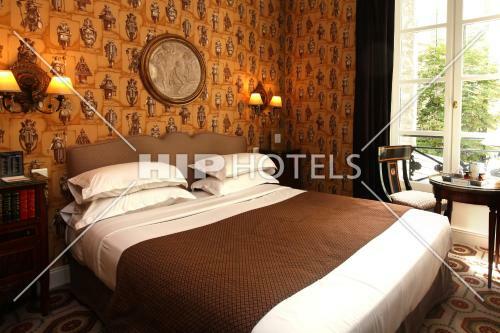 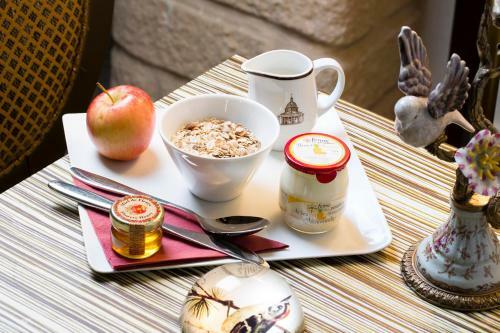 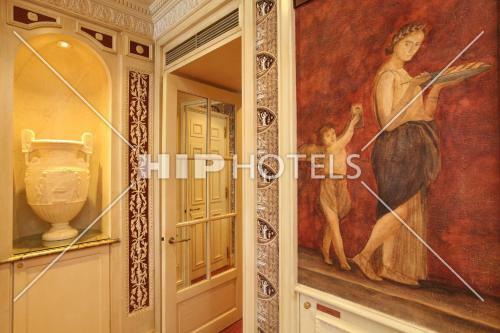 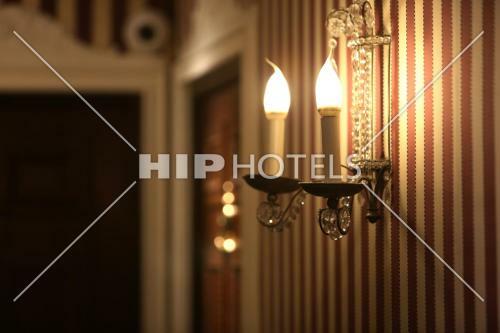 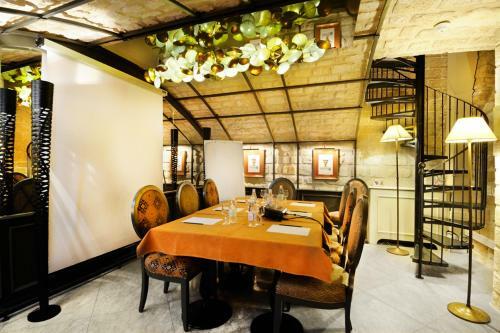 Set in an 18th-century building opposite the Panthéon, this hotel is 400 metres from the Luxembourg Garden. 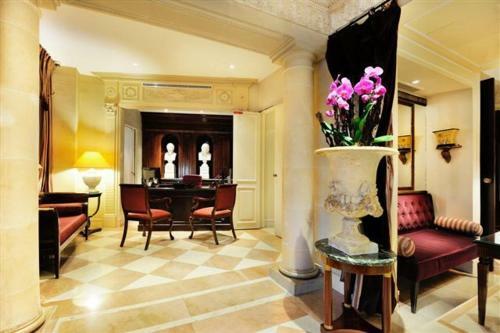 It has a 24-hour reception with a tour desk and a ticket service. Meeting facilities are also available on site. 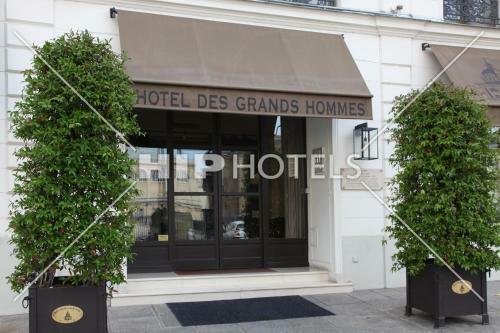 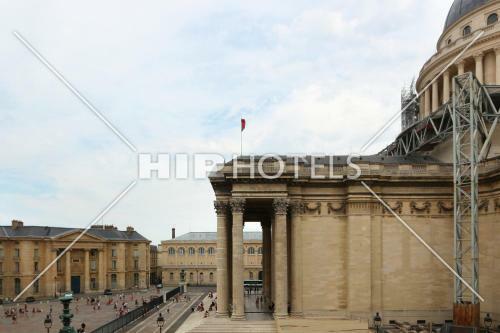 Hôtel des Grands Hommes Panthéon is 700 metres from Place Monge Metro Station, providing access to the Louvre Museum. 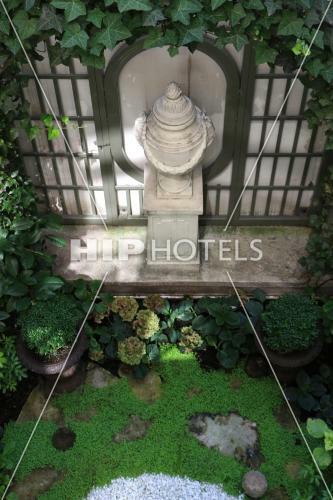 The Botanic Garden is a 10-minute walk away. 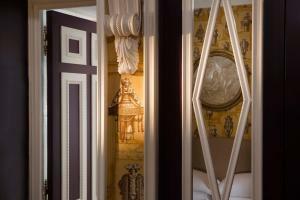 Cable TV, a minibar and air conditioning feature in this en suite room. 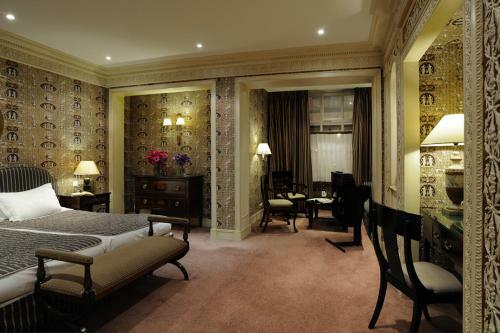 This room cannot accommodate a baby cot. 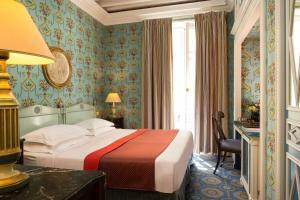 Rate: € 151.11 ... € 510.00; select dates below to get current rates. 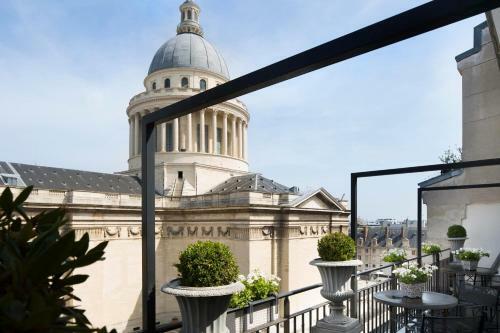 This room features a balcony or a view of the Pantheon. 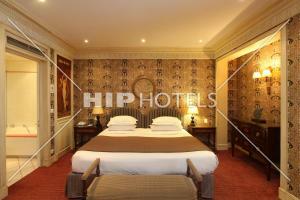 Rate: € 114.00 ... € 510.00; select dates below to get current rates. 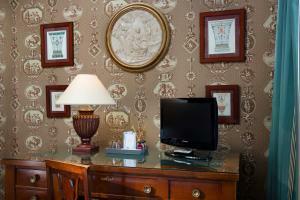 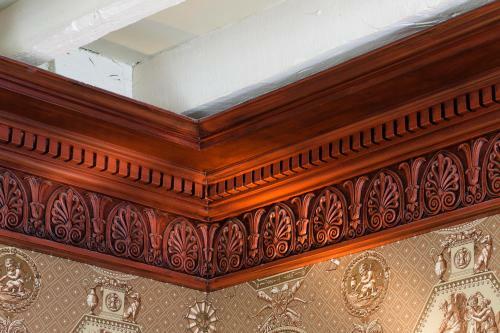 This suite features a soundproofing, minibar and cable TV.